The April 2010 episode in question features a depiction of the Prophet Muhammad in a bear suit. A Muslim convert pleaded guilty Thursday to threatening "South Park" creators Matt Stone and Trey Parker for depicting the Prophet Muhammad in a bear suit on their show. Brooklyn native Younus Abdullah Mohammad, whose real name is Jesse Curtis Morton, was charged in a Virginia federal court for conspiracy and using the Internet to communicate threats. "He's acknowledged he broke the law, and it's just for him to face punishment," Morton's lawyer, James Hundley told the Associated Press. "He admitted crossing the line, though he was trying very hard not to." Morton and one of his website co-operators, Zachary Adam Chesser, responded to the April 2010 "South Park" episode by using their now-defunct website to post threats. Morton and Chesser "predicted" that Stone and Parker would end up murdered like Theo Van Gogh, a Dutch filmmaker who was murdered in 2004 for making a movie insulting to Islam. Chesser posted the address to "South Park" network Comedy Central, along with a photo of Van Gogh's corpse and a suggestion that readers visit Stone and Parker. 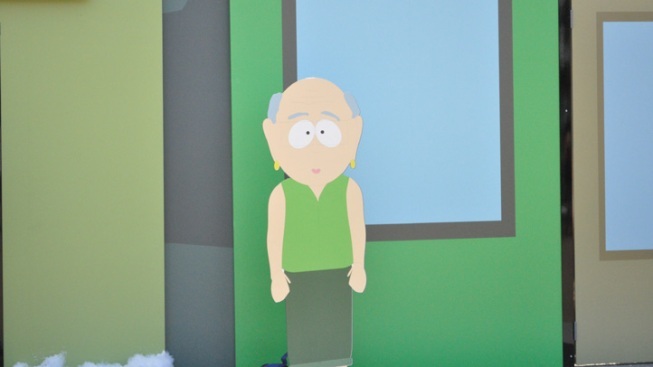 One month after the April 2010 "South Park" aired, Chesser was arrested for terrorism and sentences to 25 years in prison. This prompted Morton to flee the US for Morocco, where he was arrested and remained in custody. Revolution Muslim also served as an outlet for al-Qaida propaganda, which included instructions on how to make a bomb and a message from al-Qaida cleric Anwar al-Awlaki calling for the assassination of Molly Nelson, a cartoonist who had proposed "Everybody Draw Muhammad Day" after the 2010 "South Park" episode controversy. A spokeswoman at Comedy Central declined comment on the guilty plea Thursday.